I remember discovering contouring in mid-2013. Beforehand, I hadn't a clue what it was or how to even go about doing it. 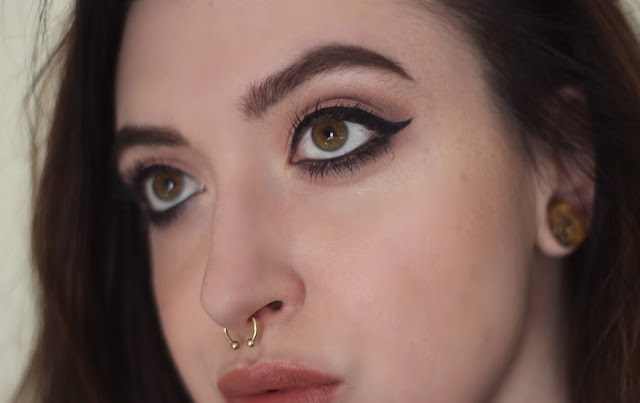 After many mess-ups (cue overly-orange stripes going across my face), I eventually found my ideal routine and shades for my super-pale Casper skin and face shape. 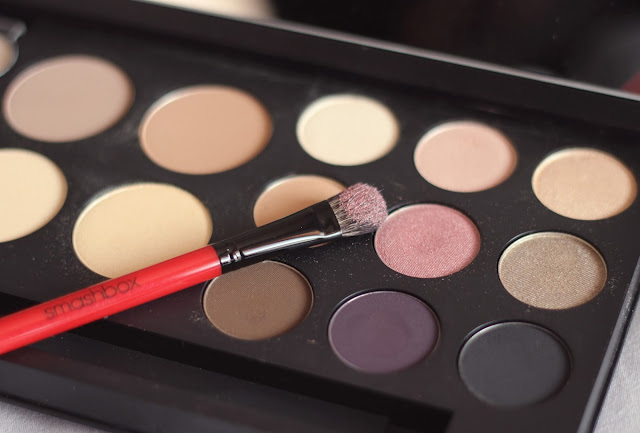 Palettes are always a great starting point when it comes to new makeup methods or products; you can trial and test the various shades and textures to see which ones suit you best. 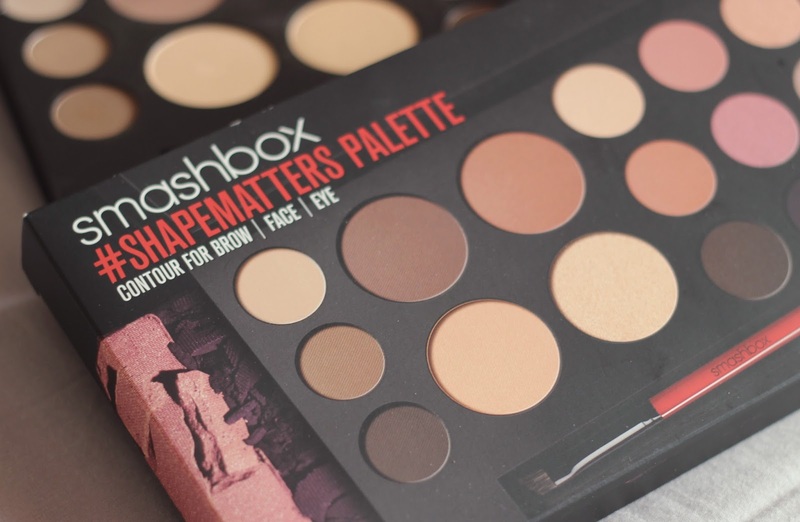 Smashbox's 'Shape Matters'* contouring palette is a go-to for your eyebrows, eyes and face alike. 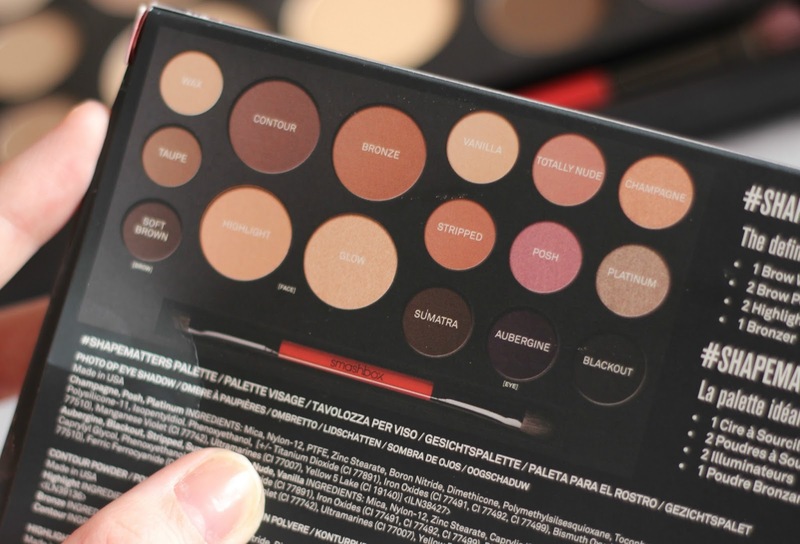 The range of shades makes it accessible for most skin tones and for use for both 'day' and 'night' looks. 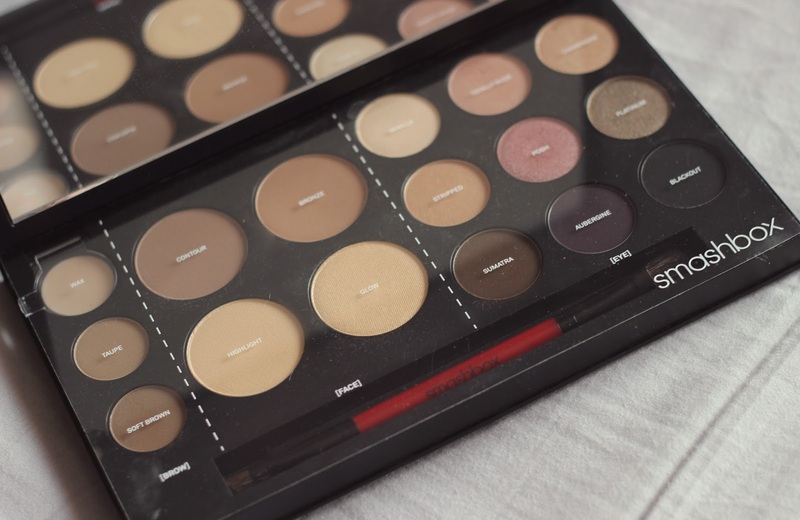 The brow shades are perfect for anyone with dark blonde - mid/ dark brown brows and offer a pigmented, yet workable finish. I sprayed setting spray on an angled brush to darken the 'Soft Brown' shade to define the ends of my brows and used the wax to mess them up. (I prefer my brows to look boyish and bushy so tend to use wax to purposely make them look this way. If you prefer yours more polished, it's a fantastic product to neaten hairs and the shape into place too)! 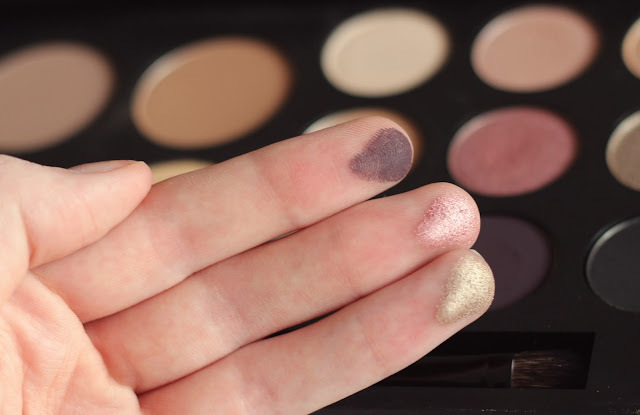 The eye-shadows are a dream, particularly for anyone who loves makeup on the grungy-side like myself! I used 'Vanilla', 'Posh' and 'Aubergine' to create a toned-down, yet dramatic, smoky eye with lots and lots of layering and blending. 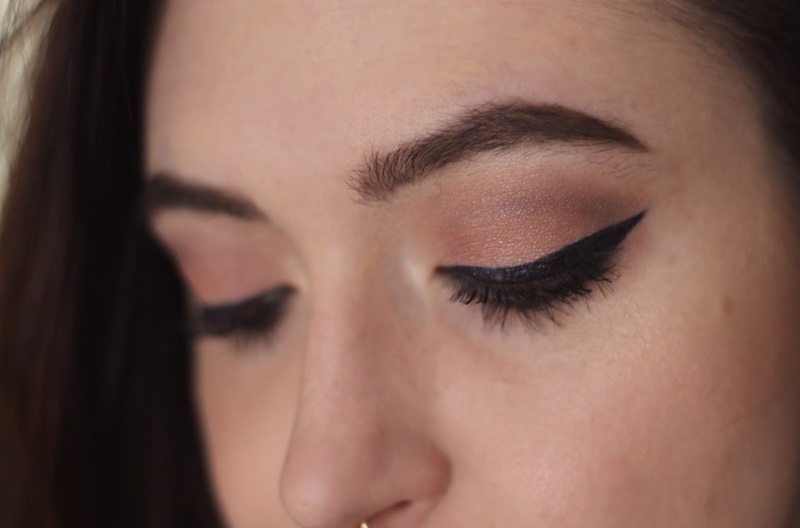 I completed the look with a felt tip liner on the upper lash line and a soft kohl smudged into my lower lashes to give a cat-eye effect. I opened the eyes up more by applying a mix of 'Highlight' and 'Glow' to my inner tear duct area and brow bone. I usually have to go quite light-handed when it comes to contouring, due to my skin tone. 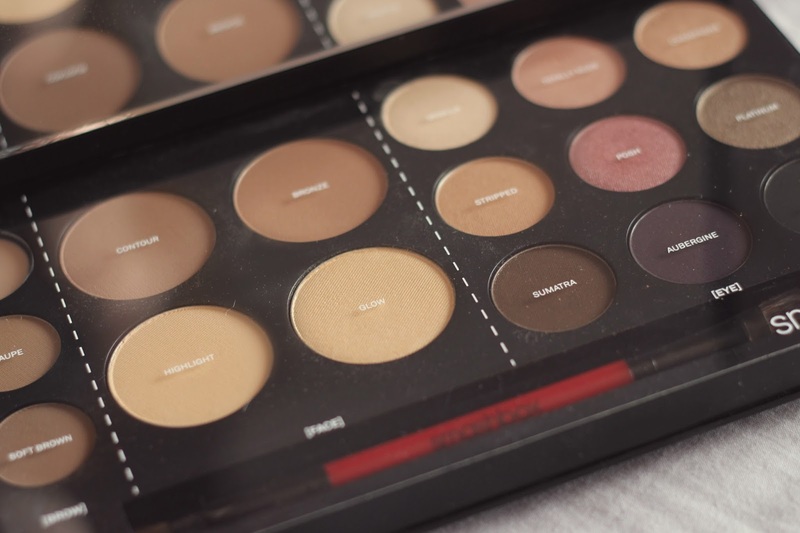 Many contour shades can come across too orange and warm on my skin so I tend to use shades on the ashy side to give it a more natural look. 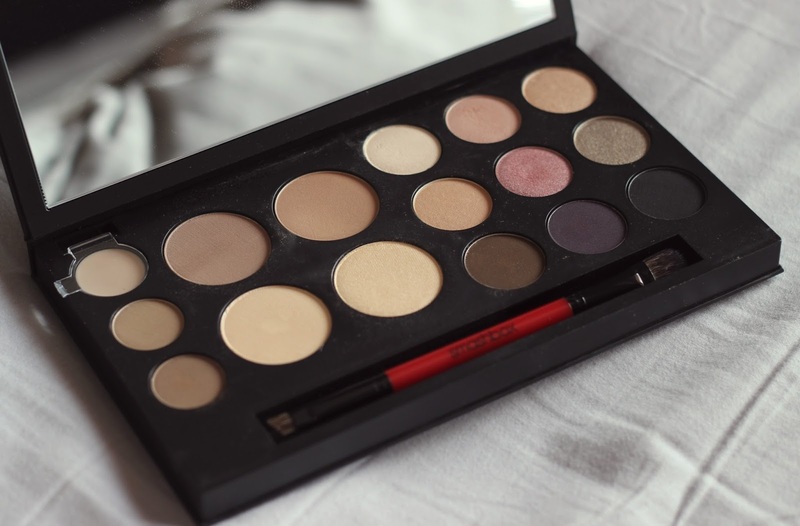 The 'Contour' shade in the palette is ideal but quite pigmented so I tapped any excess off of my contour brush before applying and went over the applied product with translucent powder to blend it into my face (cheekbones, forehead and jawline) further. 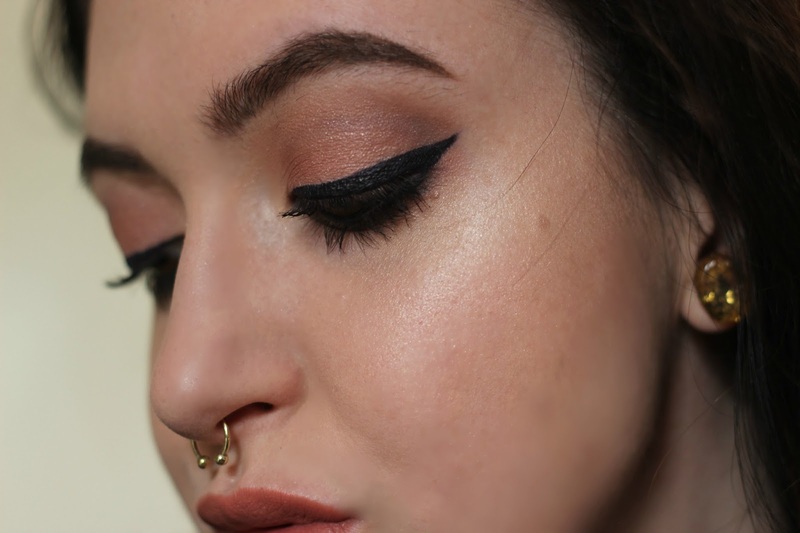 I'm pretty obsessed with highlighter as it can instantly brighten and wake up a face! I tend to apply a lot of it and love it looking quite "obvious" on areas like my cheekbones and brow bones to lift my chubby-cheeks up. Alike to the eyes, I mixed 'Highlight' and 'Glow' together for that perfect sheen. The 'Shape Matters' 3-in-1 palette is currently available in all Boots stores for just £40 (approx €51) from April 26th - May 2nd. It's also available on Boots online from April 30th - May 2nd. 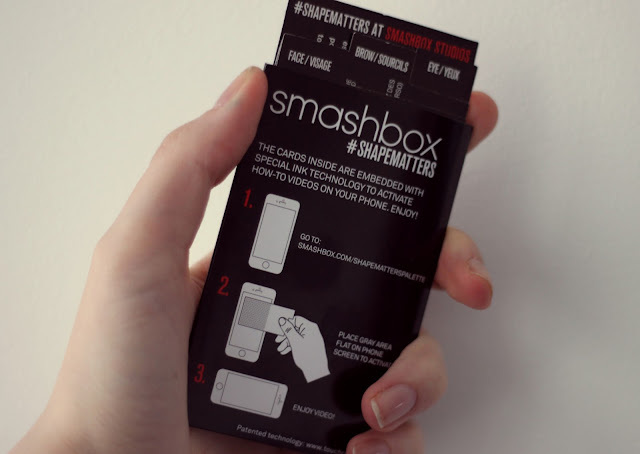 The palette comes with 16 shades, a double-ended eyeshadow brush and super-cool interactive 'how to' cards that you can use via your phone. It's a brilliant palette for anyone wanting to give contouring a try or for those who want a versatile palette that gives them all of the options in one go.